Want to make positive changes in your life? Kristi provides life and career coaching, either locally in her Denver office, or almost anywhere across the globe thanks to the modern miracle of Skype. Do you feel stuck or unsatisfied in your current job? Whether you want to change careers, start your own business, develop a side hustle or have no idea what you want to do but know for sure that it isn’t what you’re currently doing, then this package is for you! 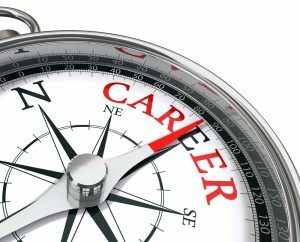 Using the Prosperity Coaching System, we help you to clarify and assess your strengths and passions, then guide you step by step into your new career path. Life is too short to do something you don’t love, so don’t waste another day…let us help you find your dream job. If you want to attain a big milestone goal, research has found that doing a 12 week sprint is a great way to help you achieve it. Sustained, focused action helps you reach goals in a shorter time span, whereas you often lose motivation if you have a longer time span of a year or more. I have worked with clients on achieving sprint goals including writing a book, recording a music CD, completing a dissertation, starting a new business, building a website/blog, and reaching a health goal. Through incorporating goal-setting worksheets, weekly check-ins, psychology, mindfulness practices, cognitive-behavioral techniques and the law of attraction, we help you reach your “bucket list” goals. If you’ve ever said, “Someday, I hope to….” don’t let another day go by without going for your dream. Our clients have often found that achieving their 12-week sprint goals motivates them to create new ones. STRESS MANAGEMENT/TIME MANAGEMENT TRAININGS: If you work in a busy job that involves daily stresses and challenges, from navigating customer service relationships to sales goals, a stress management and/or time management training can help your team function at their best. Trainings can be for small groups, such as team leaders, or a specific team within your company, or they can be tailored to large groups for a generalized approach. The focus is on stress reduction tactics, mindfulness, conflict resolution, and organizational management to maximize the hours in your work day. Contact Dr. Kristi for more information on these trainings. Have a coaching need you don’t see here? Feel free to ask about other options. “Kristi Helvig has absolutely changed my life! Better yet, she has helped me to know that I HAVE the POWER to change my life. And she has supported me while I have. This year has been one of the most difficult years ever, and I am transformed! My happiness does not depend on outside circumstances; it blossoms from within. I am more at peace and happier than I ever have been. I can handle whatever comes to me. I have truly made lemonade . . . no champagne . . . from lemons!” – Hilary M.
“I randomly found Dr. Helvig on the internet. I was a little hesitant to obtain coaching services, but after our first meeting, I knew it would be a success! Hands down, this is the best money I have ever spent. I was going through an emotional time, and had a few things I needed to work on. Since I have completed my coaching, my life has changed completely, and so has my confidence. She helped me see the world through a different set of eyes.” Jen B. “I’m midway in my second week and I’m loving my job! Thank you so much, I feel so proud to be working in my dream field, and it was hard to imagine as a reality until I met you. Thank you again for everything, I don’t know how I would have done it without you.” Taylor B. Are you looking for Organizational Development Services for Businesses? Dr. Todd offers organizational development services and leadership assessment, and specializes in incorporating emotional intelligence into company cultures. He uses a variety of assessments to assist in identifying top leaders for your company. Find out more about Dr. Todd’s services on the Organizational Development page.